One of the UK's rising tech hotspots "emerging out of London's shadow" – could your start-up business thrive in Glasgow? Why should you start a business in Glasgow? Scotland’s largest city has recently undergone major regeneration and has benefited from several investments in its infrastructure and systems, with particular focus on developments to the Clyde Gateway and ‘Creative Clyde’ area. The area has also begun to pull in technology talent making it an attractive start-up location for budding tech start-ups. In August 2017, HouseSimple.com suggested that Glasgow could soon take London’s crown as a ‘tech hotspot’, given the city’s fast evolving local tech sector and affordable house prices. Additional funding is being invested into the future of Glasgow after it was granted ‘Smart City’ status – winning a £24m grant from the Technology Strategy Board’s Future Cities Demonstrator competition back in 2013, beating 30 shortlisted cities including London, Peterborough and Bristol. Intended to make Glasgow one of the UK’s first smart cities, Glasgow Council intends to put the funding towards several new projects including real-time traffic information, an app for reporting issues such as potholes and bin collections, and other services such as linking up CCTV cameras to traffic management to identify traffic incidents faster, as well as installing analytical software and security cameras across the city centre to help prevent crime. Alongside plans to demonstrate how cities of the future will work, Glasgow is also home to the government-backed Offshore Renewable Energy (ORE) Catupult; one of seven Catupult Centres across the UK. The centre aims to create “abundant, affordable energy from offshore, wind, wave and tide” and has begun to mark Glasgow out as a hub for green energy and renewables. In terms of travel and transport, Glasgow International Airport is just a 13 minute drive from the main city centre while the M8 motorway, a short drive from Creative Clyde, links to Edinburgh and Abington; via the M74. A £40m ‘Fastlink’ bus transport programme and £300m subway modernisation programme is also underway. Commercial space is widely available across the city – enterprise area Pacific Quay has got 14.5 hectares of land available for businesses specifically in the retail and leisure industries whilst Film City Glasgow offers short-term production space for “film industry professionals”. Creative Clyde also boasts co-working space ‘The Hub’ which has interconnectivity to a London building for entrepreneurs looking to share their time between the two cities. More recently, Netherlands creative workspace provider Spaces moved to the city with the launch of its co-working office on Bath Street, offering 80 desks for creative entrepreneurs. Additional office space in the city centre includes Watermark Business Park, The Briggait, South Block and Trongate 103. The city has an above average number of people with NVQ Level 4 and above at 189,900, equating to 46.5% of the populations – much higher than cities of a similar size and equal to nearby Aberdeen. Glasgow’s boasts a qualified labour force; in part due to the fact that it has four universities within 10 miles of its city centre; the University of Strathclyde, University of Glasgow, University of the West of Scotland, and Glasgow Caledonian University. For companies looking to provider high level management and skills, the Skills & Business Growth programme offers a training grant – details of which can be accessed here. Glasgow’s Creative Clyde is a strong pull for creative businesses. One of 15 strategic enterprise areas dotted across Scotland, the cluster is ideally located on the Clyde waterfront and claims to be a “natural home” for start-ups in digital technology, TV, film, entertainment and events. Home to BBC Scotland and BTV, the “hub” is looking to draw more creative companies to the area and has property available, as well as networking opportunities, and offers potential collaborations and partnerships. Outside of Creative Clyde, Scottish Enterprise offers support to companies based in, or relocating to, Scotland that are looking to compete on a global scale and attract investment. It offers free advice, organises training and development programmes, and connects entrepreneurs to relevant industry leaders be it health, creative, tech, lifestyle etc. Alongside Creative Clyde, new start-ups looking for acceleration can join the city’s Entrepreneurial Spark (ES) accelerator programme. ES’s Glasgow hub stats show that businesses on the programme have raised over £17m in funding and employed 422 staff. Business support is also available from Glasgow’s two science parks – Hillington Innovation Centre and the West of Scotland Science Park. Comprising mostly of technology start-ups, Hillington Innovation Centre operates as an incubator and office premises with suites and facilities on site. For start-ups focused more on life sciences and technology, the West of Scotland Science Park; a joint initiative between Scottish Enterprise and the Universities Glasgow and Strathclyde, offers office facilities as well as university support. The Science Park is divided into two campuses and is already home to companies across pharmaceuticals, mobile computing, drug discovery, satellites and laser systems. For start-ups and businesses with fewer than 250 employees able to demonstrate growth potential, the West of Scotland Loan Fund offers gap funding of up to £30,000. Aimed at businesses predominantly in the creative, technology, construction and manufacturing sectors its goal is to support companies that look to become sustainable and support Glasgow’s economy. The Fund also has gap loans of up to £50,000 for more established businesses – the council’s contribution must be no greater than 50% of the total funding requirement. For support with commercial premises, the Glasgow New Business Fund offers rental subsidies over a three year period to early stage enterprises with the capacity to create additional jobs. It also provides targeted business support, and advice to help you submit an application for business rates relief. Glasgow Council has also recently launched a new universal start-up grant of £1,000 for pre-start businesses or start-ups in the first six months of trading. Open to all new businesses in the city, applicants must provide evidence of what the funding will go towards such as equipment or goods. Aside from grants and government funding, businesses looking to attract angel investment need look no further than LINC Scotland, the national association for business angels and main angel network for Glasgow. Established in 1993, its members include several active angel investors and most of the main angel groups and syndicates. The organisation can help connect you into local and national networks of business angels. Glasgow’s accelerator programme Entrepreneurial Spark, which also has spaces (known as hatcheries) in Edinburgh and Ayrshire, can also provide funding and residency to early stage and growing ventures. Open to new start-ups as well as companies with up to £1m turnover, the accelerator offers an 18 month support programme which includes mentoring, office space, IT facilities, and help to access up to £70,000 funding at its awards event; Hatchery Hits the Street. It has capacity for 200 entrepreneurs across its three locations. Average house prices have been rising significantly in Glasgow year-on-year which, dependent on your budget and plans for the future, can be seen as either a good or bad thing. According to the Registers of Scotland (ROS), September 2016 house prices stood at around £121,430. This is far more affordable than both Edinburgh (£231,103) and Aberdeen (£171,955). Crime levels in the city are falling too – removing what was once the biggest drawback to moving to, and starting a business in Glasgow. In an examination of city crime statistics in June 2015, it was indicated that there has been a 10% drop in the number of reported crimes in the area with 802.5 crimes conducted per 10,000 people in the city. While this figure is still relatively high, the fact that crime rates are declining is a promising sign for those looking to live in the area, particularly when you take into account that the most prominent crime is vandalism as opposed to serious violence or burglaries. 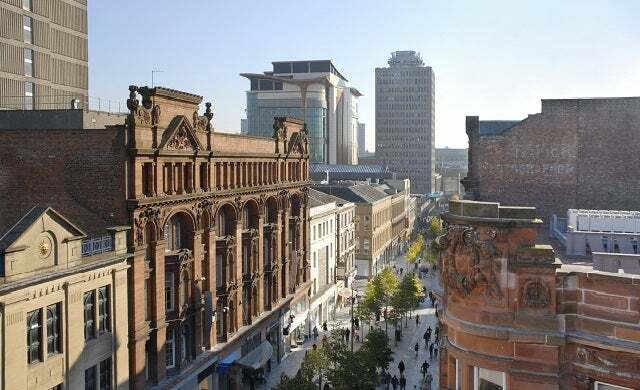 For culture, Glasgow offers a host of internationally-acclaimed museums and galleries such as the Huntenarian Museum and Art Gallery, theatres and events venues including the Theatre Royal and has a vibrant nightlife with an array of restaurants and bars. West End haunts Ashton Lane and the Ubiqutious Lane are popular eateries alongside fine dining at the Restaurant at Blythswood Square. Local businesses have argued that Glasgow’s mixed of heritage and culture has helped to create a “diverse small business community”. A first-hand account from an early-stage start-up on what it’s like to start a business in Glasgow and what the city has to offer new entrepreneurs. You can also gauge insider opinion on what more Glasgow needs to do to accommodate start-ups. “Perfect pants” start-up Diary Doll provides advice on Glasgow accelerator schemes, support and funding.